Built on the Salesforce App Cloud, the new Lightning Experience combines the new Lightning Design System, Lightning App Builder, Lightning Process Builder & Lightning Cloud Flow Designer to enable anyone to quickly and easily create modern enterprise apps. This video course entails all out-of-the-box functionality available in Lightning Experience. 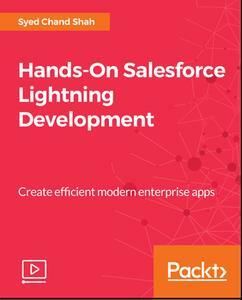 You will learn how to roll out to Lightning in an existing organization and work with some really amazing point-and-click features to enhance your application's user interface. Lightning App Builder gives you the power to build apps visually, without code, quicker than ever before using custom-built Lightning components. By the end of this course, you'll be able to build efficient apps based on the new Lightning experience and make your Lightning apps available in the Lightning App Builder.